I’m here to announce the results of the Easter Egg Contest! I’ll announce the results of the Student Council Contest in the near future. In total, there were over 215 submissions for the Easter Egg Contest! It took me quite a long time to get through them all! It was extremely hard to pick the winner, because there were so many super-high-quality entries…but after a lot of deliberation, I’ve finally chosen a favorite! The winner is Lili-Nyklova, who conceived an easter egg inspired by a character named “Six” from a game called “Little Nightmares”! I haven’t actually played the game, but I know that Six is afflicted with a powerful hunger that can drive her to eat living creatures, as you can see in the image above. This ignites my imagination with ideas for how to incorporate that kind of disturbing trait into an easter egg! 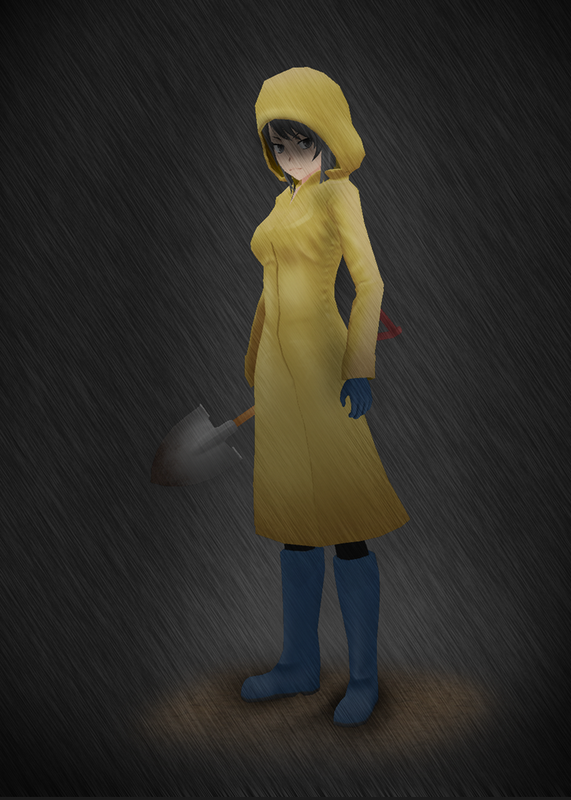 Additionally, I already have a raincoat model for Yandere-chan; with a few adjustments, it can easily become Six’s trademark raincoat! Lili’s artwork is amazing, I can easily imagine how to design gameplay around Six’s disturbing condition, and I already have some of the assets I need to implement the easter egg! It was super hard to choose a winner out of all the great submissions I received, but all of the above factors tipped the scales in Lili’s favor; it’s simply the perfect fit for the game! I’ll begin asking my volunteers for the assets I’ll need in order to implement “Hunger Mode” into the game. Hopefully you’ll see it in the near future! Of course, there were also numerous other phenomenal submissions that deserve some time in the spotlight! Click “Continue Reading” to see the rest of this blog post, and I’ll show you some of the most outstanding illustrations that were produced for this contest! 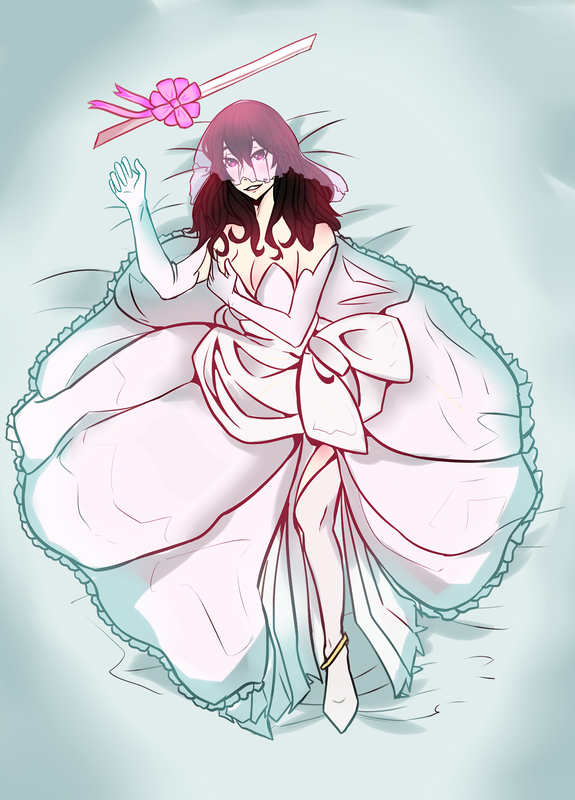 An artist by the username of 01222029929 created this fantastic illustration of Yandere-chan as a bride. Although I don’t understand what kind of gameplay Bloody Bride Ayano would have, I simply can’t resist sharing the beautiful artwork! 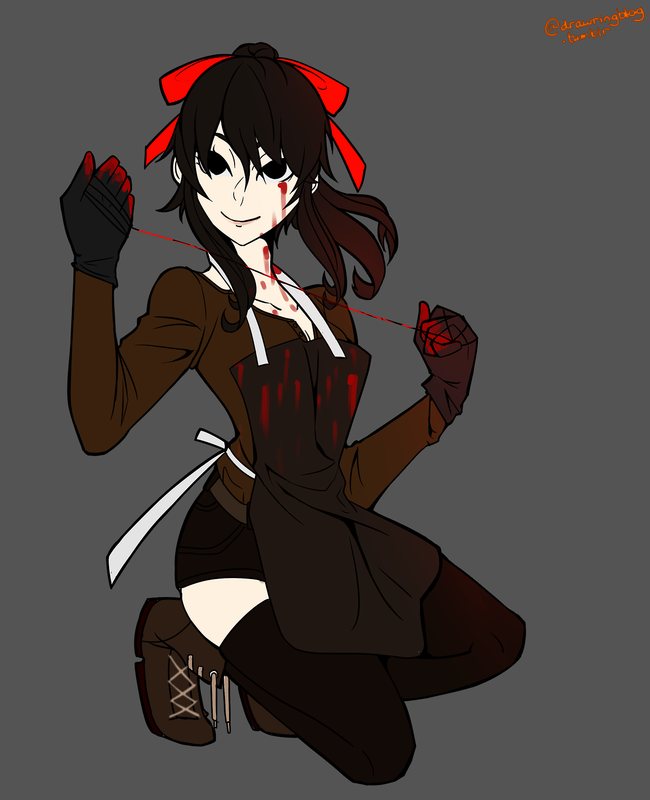 Ani Mei sent in this artwork of a Necromancer Yandere-chan raising the dead. Necromancy was actually quite a popular theme for easter egg contest submissions; I guess you guys really like the idea of commanding an undead army! ardinfajarisma drew Yandere-chan wearing the clothing of Megumin from Konosuba. Although Ive never seen the show, I think that Yandere-chan looks adorable in this witch outfit! Witches were also a very popular theme in this contest! AyaBenuni drew two phenomenal Pokemon-themed illustrations of Yandere-chan! I think that both illustrations look are absolutely gorgeous!! “Pokemon” was actually the second-most-popular theme I saw in this contest; you guys must really love it! Endifi submitted four illustrations to convey two ideas: a RWBY easter egg and a Princess Peach easter egg. Such cute artwork!! 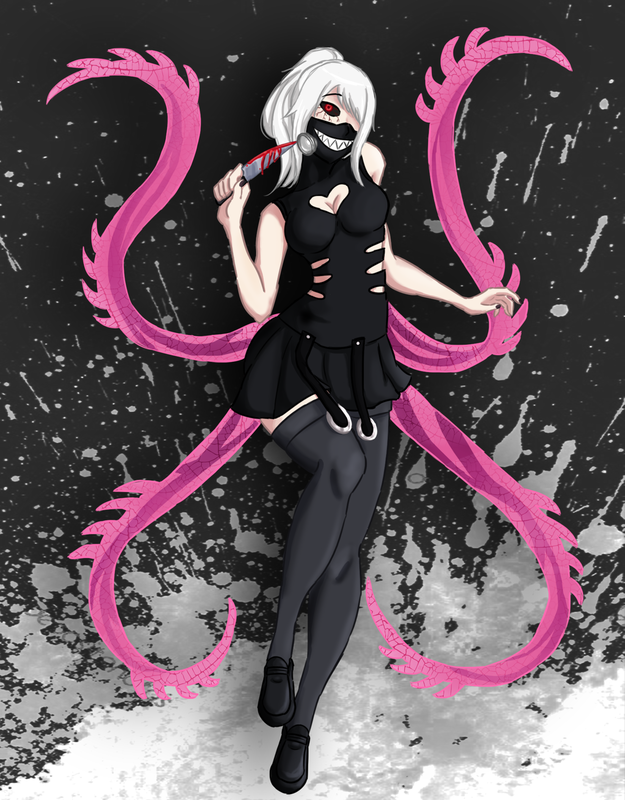 I’ve always wanted to see Yandere-chan wielding a scythe, so the RWBY artwork was a real treat to see. DarkRavenDemon stunned me by proposing an easter egg based on an indie game called “Nihilumbra”. I actually played that game! 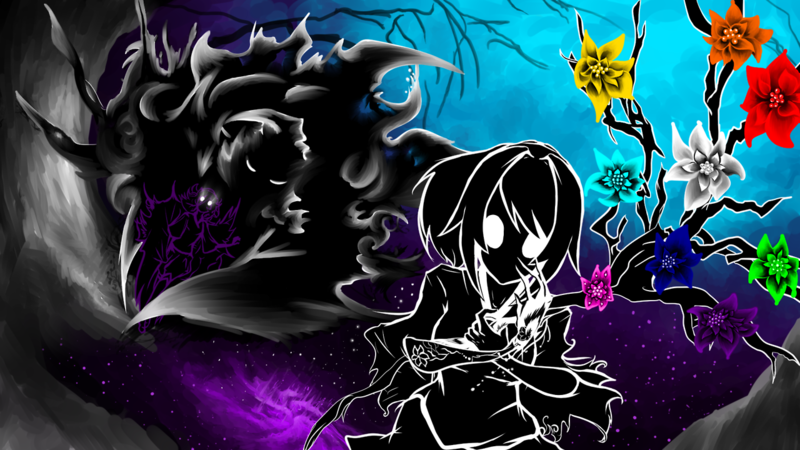 I almost never hear anyone say anything about Nihilumbra, so this amazing art completely took me by surprise! 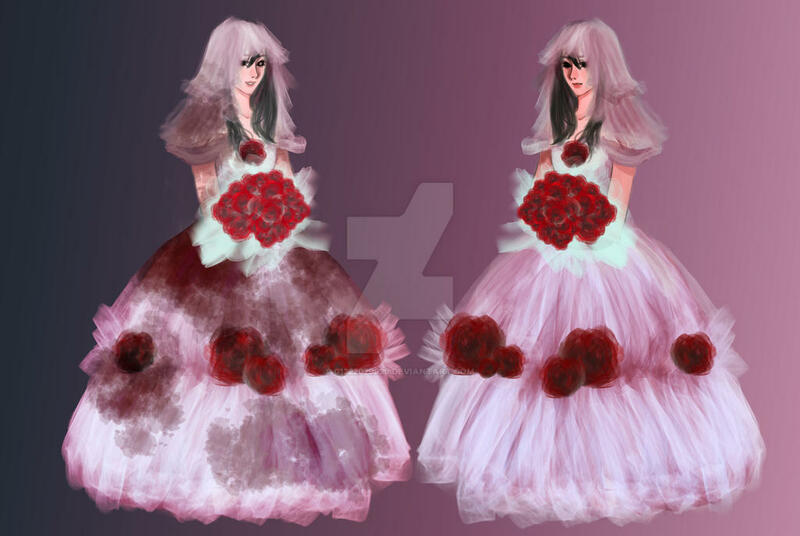 DrawringBlog pitched two ideas: an easter egg based on the TV show “Dexter”, and Yandere-chan as a bride. Although I struggle to imagine what kind of gameplay these easter eggs would entail, I’m absolutely in love with the artwork she drew! 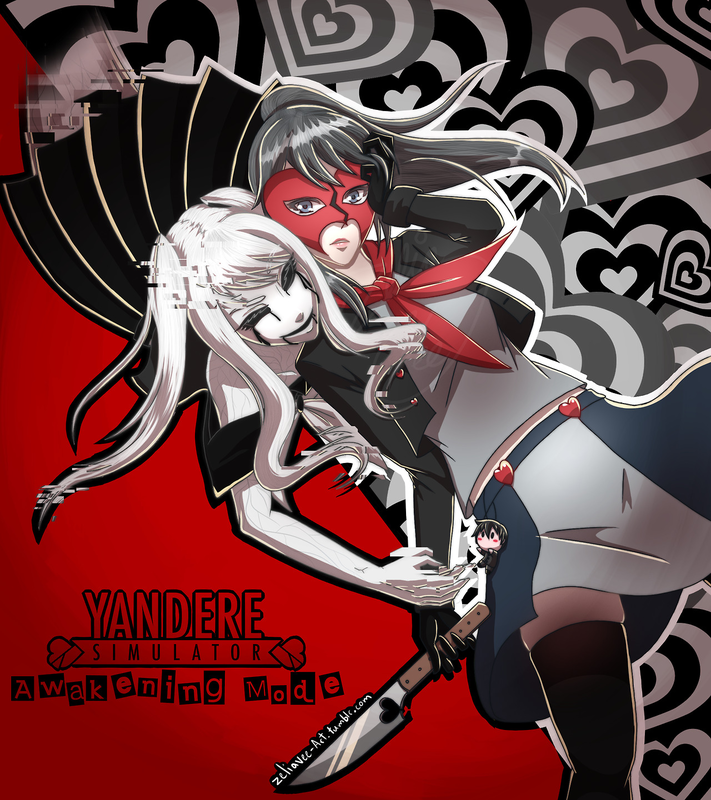 HaiDere912 blew me away with a phenomenal illustration of Yandere-chan as Genocider Syo from Danganronpa! Danganronpa was actually a very common theme among the contest entries; I guess there are a lot of Dangan fans among you! 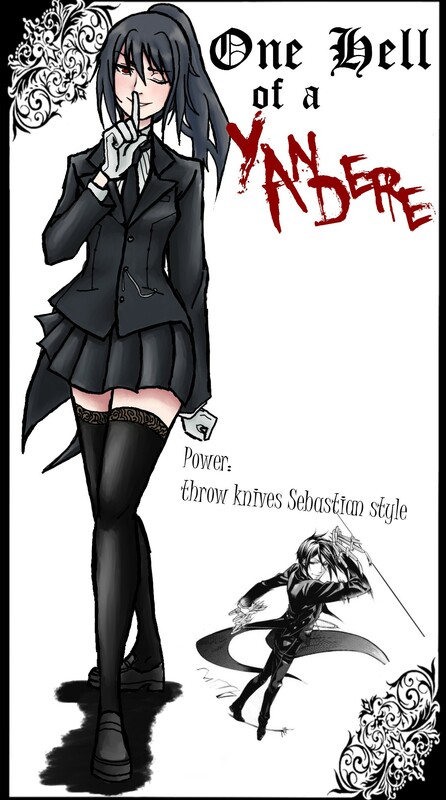 Hiko19 proposed a Black Butler easter egg that gives Yandere-chan the appearance and skills of Sebastian. Although I still haven’t seen Black Butler, I have to admit that I think Yandere-chan looks absolutely badass in that all-black outfit! Jimothy Green, a volunteer for the project, has an idea for an easter egg inspired by D.VA from Overwatch. After hearing all the details, I really love the sound of his idea, and I hope that he produces the assets necessary to make it become a reality! JusTori drew this absolutely adorable artwork to pitch the idea of a Zelda-themed easter egg. Ah, her art style is just so precious!! Zelda was another very popular theme, drawing in as many contest entries as the Danganronpa series did. M Browne created an illustration to prose the concept of an Ace Attorney easter egg. I absolutely love Ace Attorney, so seeing Yandere-chan in Phoenix’s classic finger-pointing pose is delightful! NvgOtoha – who has drawn a mountain of absolutely gorgeous Yandere Sim fan art – produced some of the most impressive illustrations out of the entire contest! 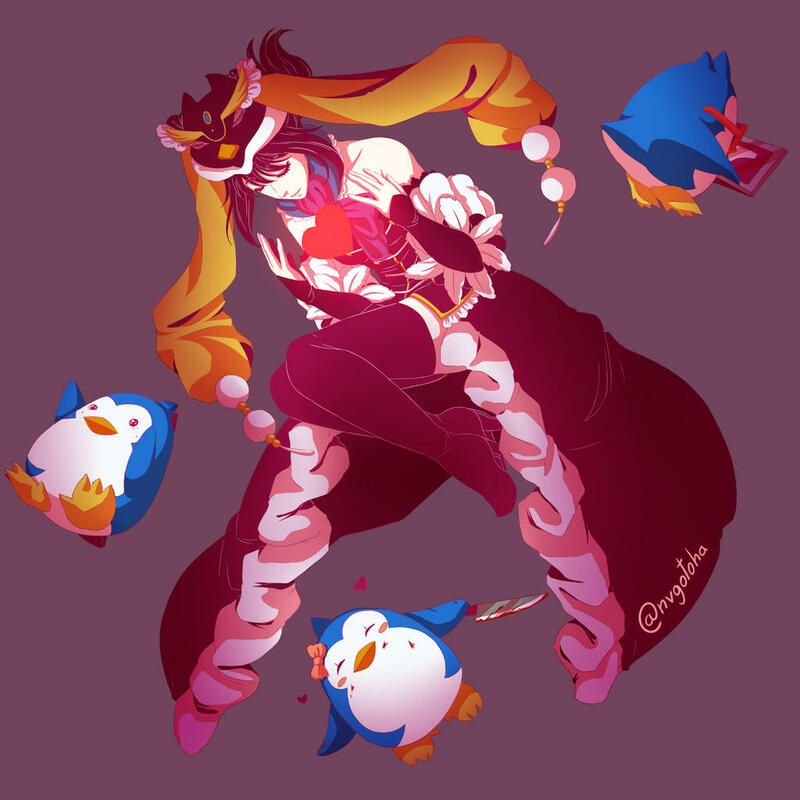 She pitched an Alice: Madness Returns easter egg, a Mawaru Penguindrum easter egg, and – my personal favorite – absolutely jaw-dropping artwork proposing a Kill La Kill easter egg! 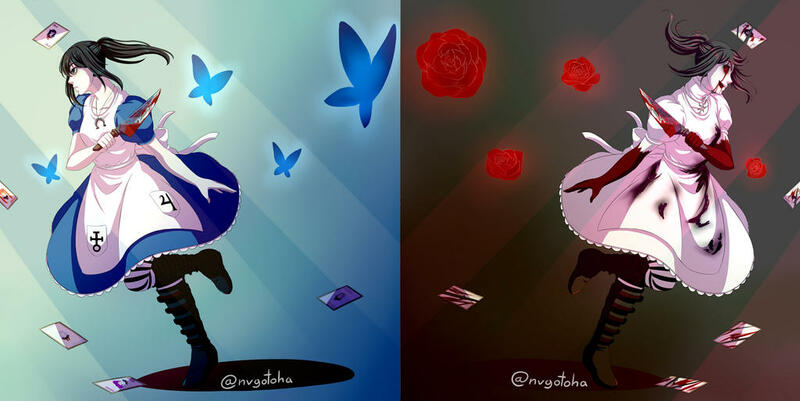 NvgOtoha’s amazing submissions all stand out like brightly shining diamonds; in my mind, she is tied for first place with the winner, and I hope she continues to draw lots more Yandere Sim art in the future! PokeAvatarHeartr was one of the people who proposed an Avatar State easter egg. 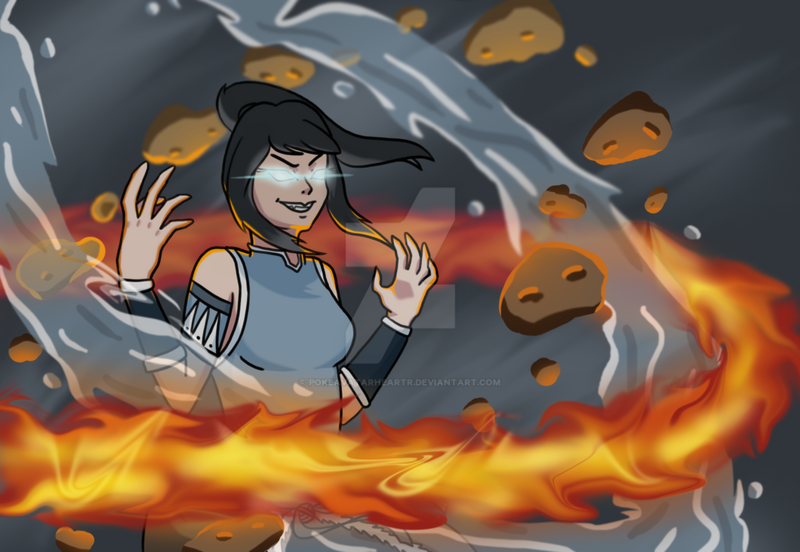 I absolutely loved The Last Airbender, I also thoroughly enjoyed The Legend of Korra, and seeing Avatar State always gave me chills – so I really love this idea! RiverPanther illustrated an extremely cool-looking design for a Tokyo Ghoul easter egg. Tokyo Ghoul was another one of the most common themes; I haven’t seen the show yet, but all the artwork I saw makes me very interested in watching it! 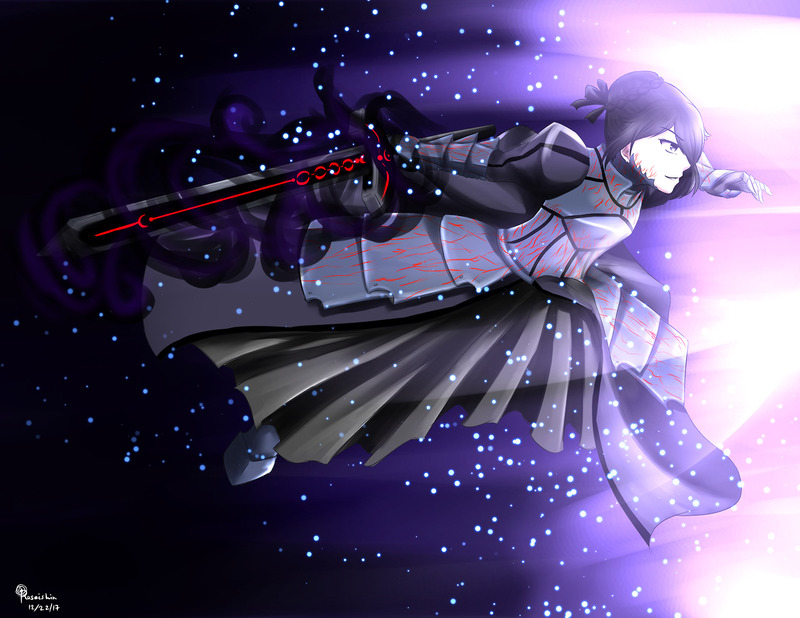 Roseishin drew a really badass proposal for an easter egg based on Dark Saber from the Fate franchise! I have very limited knowledge of the Fate games, but this armor design is extremely cool, and would definitely make a fun easter egg! 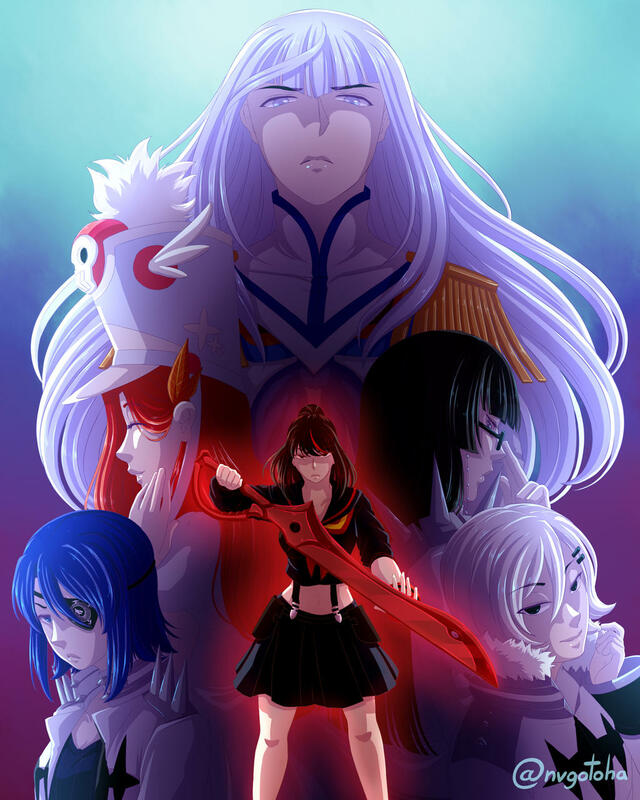 An artist by the username of “trashy” also submitted a proposal for a Kill La Kill easter egg. What beautiful artwork! 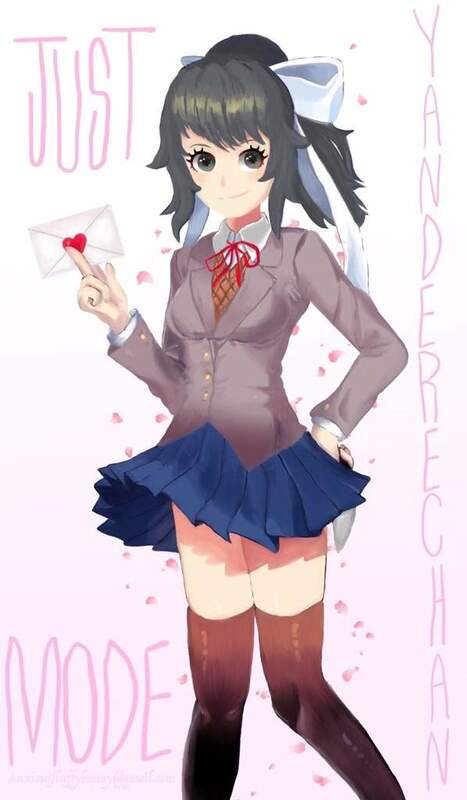 To be honest, I’ve wanted to have a KLK easter egg for a really long time, but first I would need a Kamui design for Yandere-chan..
YumaMomoChan took the “Easter Egg Contest” as literally as possible, and pitched the idea of Yandere-chan dressing up as an actual easter egg. She suggested that Yandere-chan could be able to hand out easter eggs to students at school. These eggs would eventually hatch into tiny Yandere-chans that would follow the students around school like baby chicks following their mother. I don’t know about you, but I think her idea sounds absolutely adorable!! ZeliaVee-Art made my jaw drop when she submitted this breath-taking illustration pitching a Persona 5 easter egg. This is one of my absolute favorite drawings to come out of this entire contest! When I think of the most impressive artists who participated in this event, ZeliaVee shoots straight to the top 3! Along with NvgOtoha, I consider her amazing submission to be tied for first place! There is absolutely no way I can end this blog post without mentioning what ZyleaChan drew: an illustration of Yandere-chan dressed as Master Chief from Halo. It’s just so drastically different from everything else in the contest; I love it!! While reviewing all of the entries submitted for the Easter Egg Contest, I noticed a common theme among the submissions…there was one game that kept popping up more frequently than any other. It’s a game that I’m sure everyone has heard of by now: Doki Doki Literature Club. 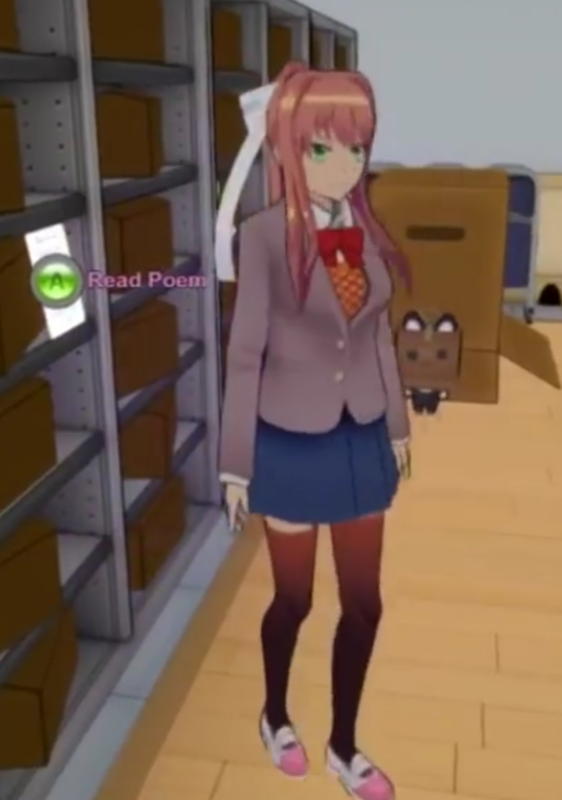 There were more requests for a DDLC easter egg than Pokemon, Zelda, and Dangan Ronpa combined! 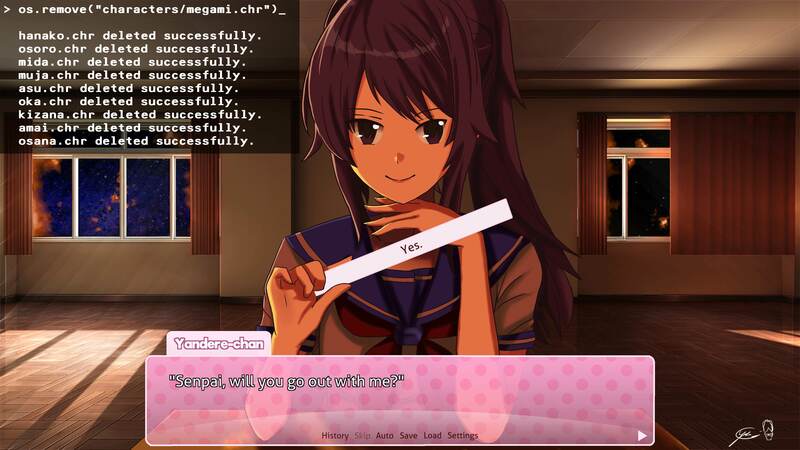 You guys really, really love DDLC, and really want to see a DDLC easter egg, don’t you?! Just look at this absolutely gorgeous illustration by Yida Cai and this super-pretty artwork by Vee! Of course, there were many more impressive and creative easter egg illustrations than just the ones mentioned here! If your entry wasn’t featured here, please don’t get the impression that I didn’t like it or didn’t see it; I appreciated and enjoyed every submission I received! In addition to sending beautiful illustrations, there were also several people who pitched creative ideas for alternate gameplay modes, instead. Some of these ideas actually sound very cool! Rival Mode – Instead of playing as a psycho yandere girl eliminating her rivals, you play as one of the rivals who is being hunted by a psycho yandere girl! Your objective is to identify the girl hunting for you and expose her before she kills you. Disguise Mode – Similarly to Mission Mode, you are tasked with assassinating a student at school…however, everyone is in disguise! Your objective is to use contextual clues to identify your target without being able to see their head. Zombie Mode – Yandere-chan is a zombie who can infect students to turn them into zombies. Zombie students roam through the school, infecting other subjects. The objective is to turn everyone into a zombie…I guess? This mode would probably need “Zombie Hunters” patrolling around school to keep things interesting! Midas Mode – Yandere-chan can turn anyone into a solid gold statue simply by touching them, exactly like the mythical King Midas. This idea caught my eye because I know it would be extremely easy to program. I’ll consider it! Now that the Easter Egg Contest is out of the way, my next task is to review all of the submissions for the Student Council Contest! This time, I have over 535 entries to review…more than twice as many entries than the Easter Egg Contest! Whoa! It’s quite an intimidating task, and I think it’s going to eat up a lot of time…but I’m so happy that there is so much enthusiasm for the Student Council!! and i would challenge you to find out the original source of the sounds and tell what game it is! Hope you would read this and do it!